I was invited to have a mini facial with Sjal Skincare at Space NK in NYC. I had heard a bit about the crystal infused skincare line and I was intrigued. When I arrived I met co-owner Kristin Petrovich she was lovely right from the start. I sat down and saw a wonderful collection of crystal like Rose and Clear Quartz set up. Next to that was her book, Elemental Energy: Crystal and Gemstone Rituals for a Beautiful Life and the Sjal skincare line up. We jumped right in to chatting about crystals. I have a decent size collection that I love to talk about. She started to fill me in about the energy of crystals in so much detail that I hadn’t ever heard before. 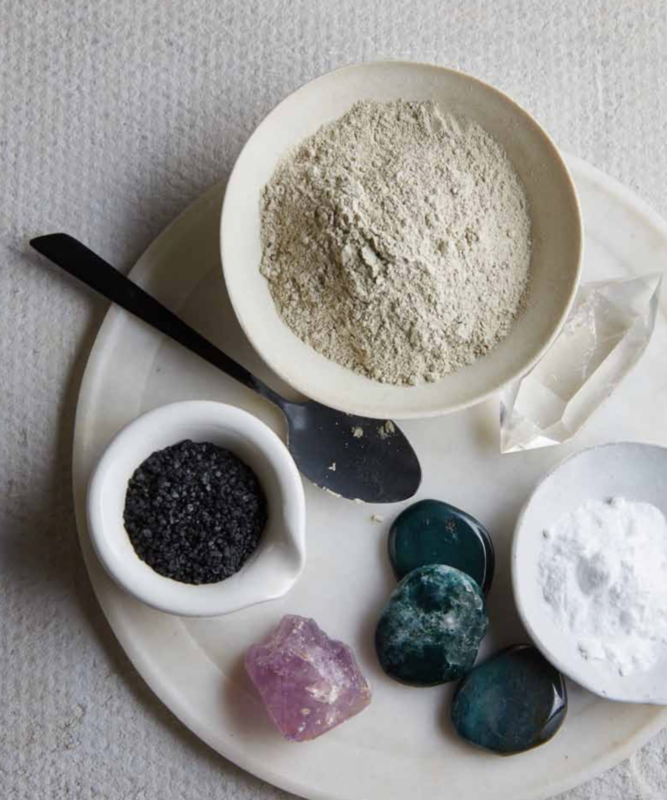 The crystals for the skincare are ground up finely in the products to help raise the vibration in the skin and attract to where we need “healing” most. There are also precious metals in the skin products. These type of metals are being used in hospitals – silver is antimicrobial and platinum and gold are used in cancer treatments. 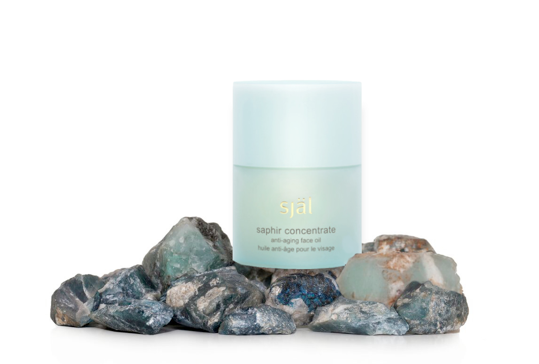 “Just like vitamins, our bodies also need minerals,” says Kristin Petrovich co-founder of Själ Skincare. “Since we’re made up of water, minerals, and tissue, they’re beneficial to our bodies and our skin. Our bone structure is actually a crystalline bone structure so we naturally resonate with stones, which all carry a frequency.” The line is in a select group of spa’s around the country that offer crystal facials. I had a mini one while I was there. If you happen to watch Instastories, you will see how instantly my makeup free skin was glowing. The integrative skincare line is formulated using more than 200 rare ingredients including energy-infused precious minerals and gemstones like gold, platinum, sapphire, and amethyst, to promotes elasticity, restoration, and brightness.The positive energy of these minerals not only impact your mind and temperament, they also have skincare benefits too – while being pretty on the outside, they are also able to do something on the inside. A great complexion and good vibes. There continues to be growing proof with validity to our body’s attraction to gemstones, minerals, metals and crystals. I started to read the first few pages of her book when I got home and discovered her mom (who is also co-owner with her in Sjal Skincare) was a big believer in the power or gemstones and crystals and Kristin was in a really stressful fashion position and was getting headaches. She slept with an amethyst on her head and the edges turned black and she felt better, like it attracted the toxins. I have had some amazing physical experience with crystals as well. To say I am thrilled to find a skincare brand that utilizes crystals in such a brilliant way would be an under statement.